Every time I see Dragon Ball FighterZ in action, it’s hard not to marvel at the stunning visual representation of the treasured anime and manga. 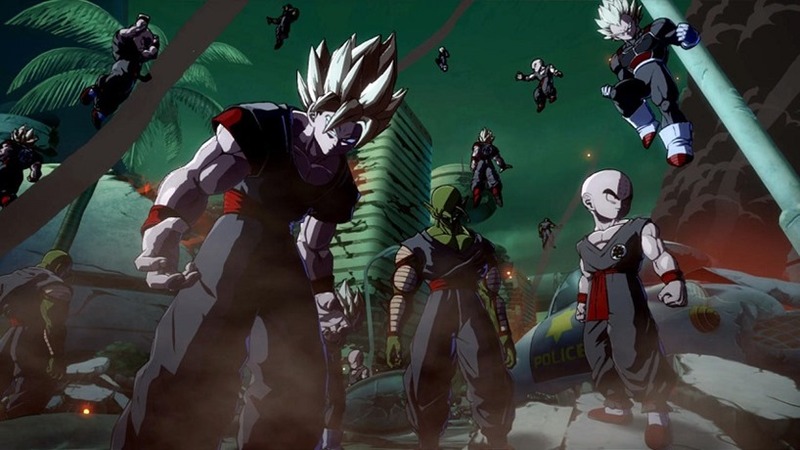 The game looks like what you’ve always wanted from a Dragon Ball Z fighter, packed with iconic poses, characters and stages to really up the ante when you’re pitting some of the universe’s best fighters against one another. Some new gameplay from the upcoming brawling game gives us a glimpse at some of these new characters, and a sneak peek at the game’s original story mode which was leaked just last week. The story will follow an alternative timeline, where Android 16 has been brought back to life and seeks to take out Goku and Co. for reasons™. There are these weird zombie-looking versions of characters you love near the tail end of the trailer, which doesn’t exactly explain what Android 16 is planning on doing to everyone who crosses his path. But it does look dark – with many fighters falling to what might seem like insurmountable odds until Goku changes into a new colour. Or something like that. The real meat of the trailer is down to the first look at four of the new(ish) characters. Piccolo, Krillen, Android 18 and Android 16 were all revealed as fighters before, but seeing them in flowing action is a real treat. Piccolo channels his best Dhalsim impressions with some ranged, stretchy arm attacks, while Krillen is able to change the direction of Ki blasts after being fired. Android 18 can summon help from Android 17 in battle, only to have Android 16 blow them away with his ridiculous massive cannon arms. The game is now slated to launch in February of 2018, with Bandai Namco revealing a new $140 Collector’s Edition too. 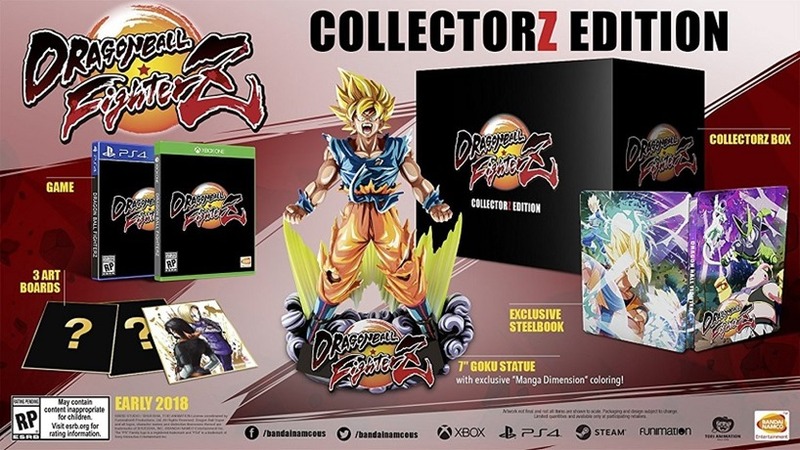 The special package will include the game, some stunning artwork on a steel case, three art panels and a 7-inch Goku statue painted in a gorgeous “manga-dimension” style. Anyone who pre-orders the game will also get access to two exclusive characters: the previously revealed Super Saiyan Blue versions of Goku and Vegeta. It’s not too long to wait then. Dragon Ball FighterZ is launching on Xbox One, PS4 and PC. And hopefully Switch one day too.